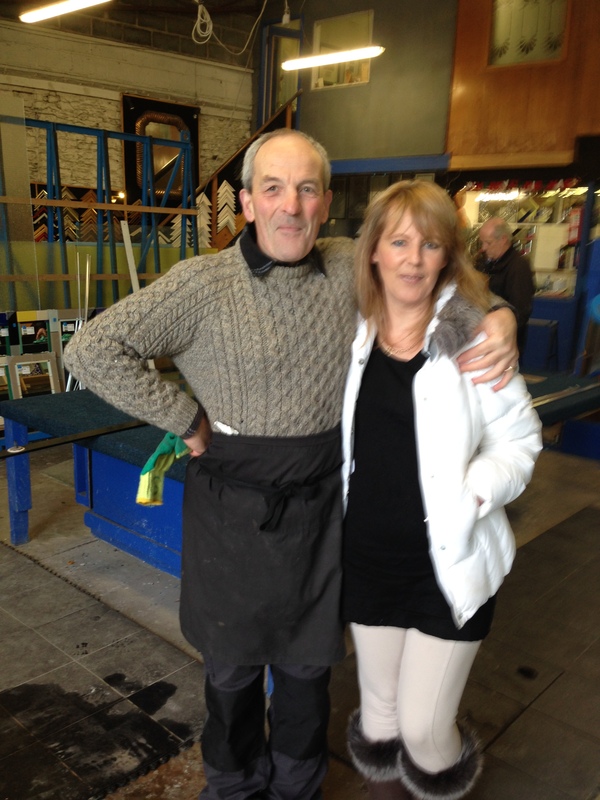 Superheroes at ‘Wicklow Glass and Glazing’..
Well Maria Bradshaw has finally landed in Ireland. Following the death of her lovely son Toran, Maria set up Casper NZ. 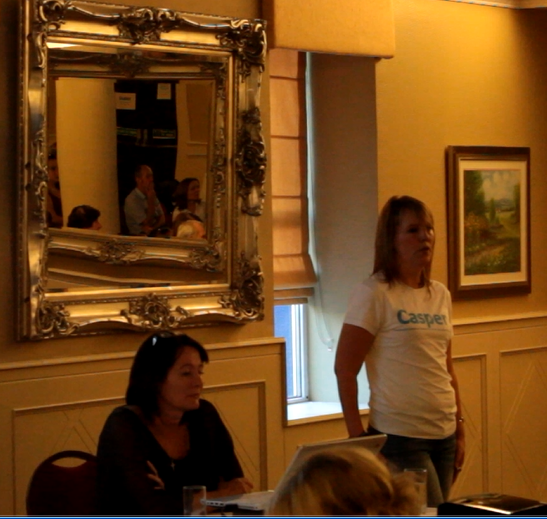 Statistics have shown that in groups associated with Casper – a reduction of suicide by 20%. It seems inexplicable to me, that despite the billions spent on psychiatric drugs in this country, the suicide rate here is abominable. At the very least, the drugs are not working. At worst, the doubling of ‘suicide and violence’ which accompany psychiatric drugs, particularly SSRIs, are making the suicide rate much much worse. Anyway, there she was, at Dublin airport, all possessions in 2 suitcases, persuaded by a mad Irish woman to move half way across the world to tackle Ireland’s suicide ‘problem’, accompanied only by Toran’s ashes, when disaster struck – some airline or other had manhandled Toran’s beautiful ‘ashes’ container and broken 3 glass panels. So there’s my lovely friend, alone on the other side of the planet with her most precious possession in tatters, jet-lagged and on the verge of an Irish/Kiwi meltdown. Never fear, the lovely Supermen of ‘Wicklow Glass and Glazing’ came to the rescue. After a frazzled conversation, undignified it has to be said, with a couple of hugs and copious litres of tears, Toran stayed overnight in Wicklow, safe in the gentle hands of Stephen and Mark. Toran’s beautiful ornate container was ready the next day, more beautiful than when it went in. These lovely men would not accept any remuneration for their very intricate and extremely delicate assignment. Who said chivalry is dead? Superheroes, in the guise of Stephen and Mark, although with underpants thankfully under their trousers, came to Maria and Toran’s rescue. Well done to the lads in Wicklow Glass and Glazing!! Phone (0404) 68382 We remain forever in your debt. Well, I did it. I survived the conference with Maria, I didn’t run out the side door and she didn’t have to slap me; well not too hard anyway. Maria was fabulous and I couldn’t have asked for a more experienced ally. She was able to give people a real feel for her son Toran, along with an abundance of science behind drug-induced deaths. The stories we heard on Saturday were tragic and very avoidable, but hopefully we can inform the future generation and stop the madness that SSRIs are inducing. Maria is the CEO of Casper NZ. New statistics have shown that in the groups which Casper has helped, there has been a 20% reduction in deaths by suicide. For young people that is a stunning reversal, because in the previous year there had been a 45% increase in 15-19 year olds taking their own lives. That has never been done in Ireland and we need to take notice. Despite all the suicide awareness groups, pharma funded and otherwise, the suicide rate in this country is huge. Maria has been asked to speak in other countries including Dubai, The Cook Islands, Australia and the US. I have no doubt she is making a difference; can we possibly ignore these results or will we just keep over-prescribing the unhappy pills which double the risk of suicide and violence? PS. Thank you so much to everyone who made a huge effort to attend, from all over the country and indeed from across the water. I am humbled! Video to follow once my son Jake gets his act together and posts to Youtube.